Cervelo owners with R.A.T. 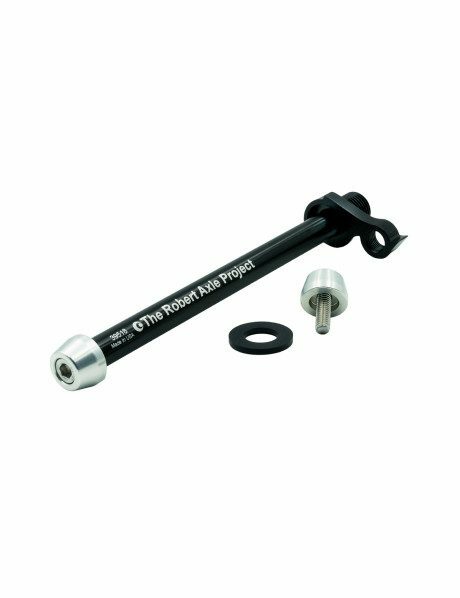 thru axles: This axle will replace the R.A.T. axle found on all Cervelo R.A.T. equipped bikes. In addition to this axle we include our replacement derailleur hanger with with traditional threads. This axle combined with the replacement derailleur hanger will provide a complete threaded thru axle system. Our derailleur hanger matches the geometry and construction of the stock derailleur hanger in every way for crisp shifting performance. Includes our replacement for the RAT derailleur hanger which allows use of our threaded Trainer Axle. 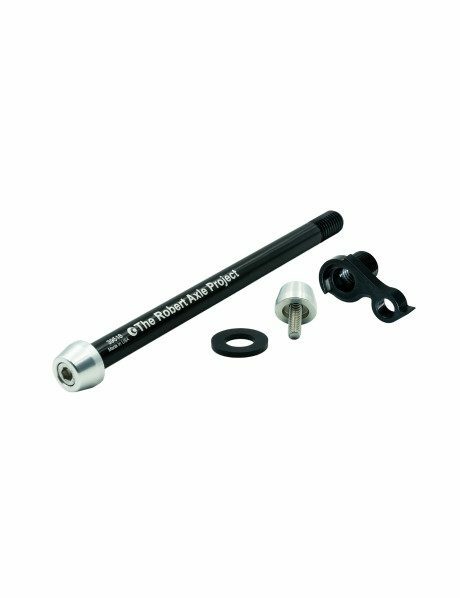 The true length of the axle shaft is 17o mm. Please note: Thru-axle lengths do not equal hub standards. An axle has to be longer than the hub to fit in the frame. A 12×142 hub does not equal a 142 mm long axle.